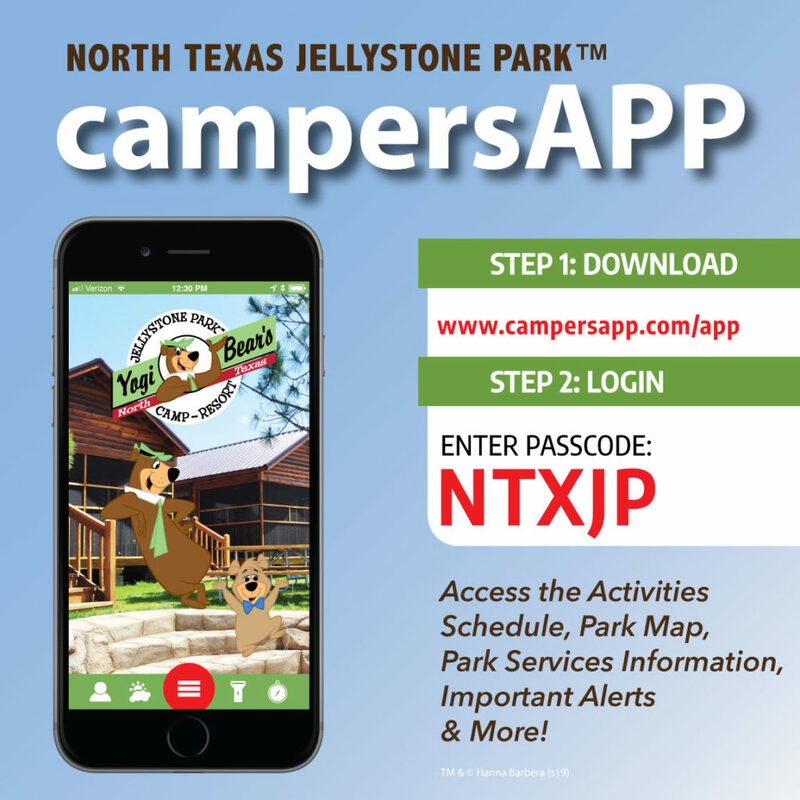 If you’re looking for a Texan ranch venue surrounded by natural views for your wedding, North Texas Jellystone Park™ (once known as “Rustic Creek Ranch”) offers more than just a wedding destination. Some brides-to-be choose this venue for the beautiful Halls and Lodges and their expansive windows that let the natural light and beauty in during their ceremony. Others are sold when they see the gorgeous nature that will become the background for their wedding pictures. Brides love the added benefit of having an unforgettable place to host their bachelorette party, and we know the grooms love the Paintball, Laser Tag, Fishing, Basketball and other activities open for their use. Families love our resort’s luxury lodging to host out-of-town family and guests, such as the Premium Cabins or the Homestead Cabins, as well as the fun stuff for everyone to enjoy in the days leading up to the big celebration! With catering, outside-catering and even self-catering options, we allow you to decide the menu your guests get to enjoy. Visit our Group Catering Policy page for more information. And for the Honeymoon night? We recommend our newest addition to the lodging fleet: the Rustic Cabins. Although, there are plenty of other off-location options 20 minutes south of Downtown Fort Worth or 50 minutes southwest of Downtown Dallas.